You’ve been breached, so what does that mean with cyber insurance? The final chapter in our cyber insurance series outlines the legal considerations after a breach, mainly, ensuring the organization can choose its own investigator. In this current threat landscape, healthcare data breaches are common -- if not nearly inevitable. 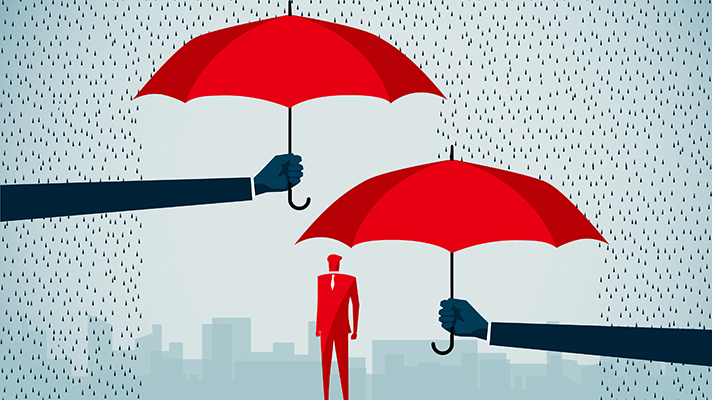 Cyber insurance policies can provide some protection in that worst case scenario, but only if an organization has carefully selected the right policy and carrier. But cyber insurance isn’t some magic cure-all. As with any type of insurance, a healthcare organization must hold up to its end of the bargain. Here’s what Jane Harper, Henry Ford Health System’s director of privacy and security risk management and Matthew Fisher, partner with Mirick O’Connell had to say about the legal considerations an organization needs after a breach. Once a breach has been confirmed, healthcare organizations need to tell the insurance broker as soon as possible, explained Fisher. In that way officials can figure out if there are any potential objections to coverage. “So it’s always best to notify the carrier as soon as possible to take advantage of these tools and experience,” he added. As with the variances in policies and coverage, each insurer will have its own preferences on how to handle a breach -- including the preferred vendors and or investigators an organization must use in case of a breach, Harper explained. It’s also important to note that the third-party is gathering evidence on behalf of the insurance company, “so when they write the report and finding all of those things, they’re very, very much the property of, not just your organization, but the cyber insurance company,” she explained. “And the results of the investigation can possibly dictate whether these people believe your breach or incident is covered,” said Harper. So if an organization wants to be able to hire its own investigative team and council, “those items need to be worked on up front when building the contract,” she explained. For example, imagine you own a home and have a homeowner’s insurance policy. If there’s a fire, the insurer will hire a company to investigate the fire and determine the cause. The investigator will return a copy of the report to the insurer -- “working on behalf of the insurance company,” Harper said. The investigation may be part of the policy, but that report is for the insurance company and may not examine those finite details a healthcare organization needs to know -- like the type of virus, Harper explained. “If you don’t want that to be the case, you need to get that upfront,” she said. Not only that, but as the insurance company is trying to manage cost. In fact, Harper explained that she’s worked with forensic organizations for her own personal capacity, and “sometimes they never find out who did it and what exactly happened.” Consider the major breaches at Target, Equifax, Home Depot and the like -- and how many years it took to determine the cause. Ultimately, organizations need to take their time with researching and selecting the right carrier and policy.